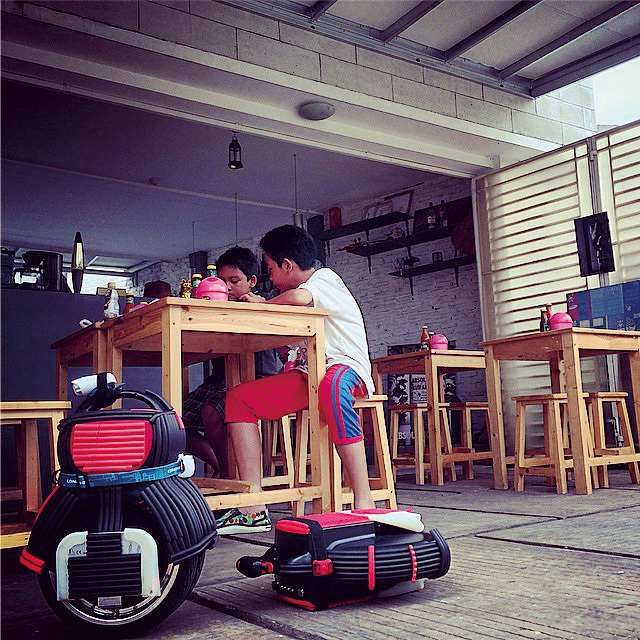 Abstract: Airwheel twin-wheeled scooter can be environment-friendly, cool as well as cute! Airwheel twin-wheeled scooter Q1 is specially designed for female, which is lovely and quiet as wind. Intelligent, cool and green are the consistent impressions of Airwheel electric scooter and many people choose it because of these impressions. It has small scooter body and is called “city elf” by people. 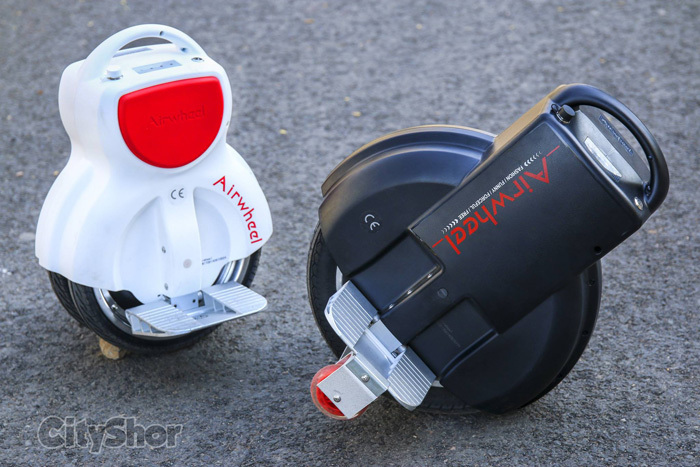 Among all the models of Airwheel electric scooter, Airwheel twin-wheeled scooter Q1 is the smallest one. It uses 12 inches flat tire. The cleverish scooter body is only 10.6 kilograms weight, which is the lightest one in Airwheel twin-wheeled scooter Q series. For girls, this small and light scooter body makes it easy and convenient to carry. In the aspect of appearance design, Q1’s body uses white as the main color. The contracted line, perfect curve and adorable color make users feel happy. No matter you are a cute girl or a cool girl, with Airwheel Standing Electric Scooter Q1, you can show the lovely side and become the spotlight in the street. In the aspect of product design, Airwheel twin-wheeled scooter Q1 applies the Airwheel exclusive patented twin-wheel design. Compared to one-wheel scooter, the contact surface of twin-wheel scooter is larger, the braking capacity is larger, the speed is higher and the driving steadiness is also better. For female especially those who are new to scooter or bad in sports, Airwheel twin-wheeled scooter Q1 is easier to master. They only need five minutes to get the hang of this lovely scooter. Airwheel self balancing electric scooter Q1 is called “city elf” not only because it is small and cute, but also because of its features of being pollution-free and noise-free. The emergence of it sparked a flurry in green commuting. Airwheel twin-wheeled scooter Q1 is powered by electricity. The imported Sony lithium battery brings stronger power, lower energy consumption and longer service time. The noise it makes is equivalent to the sound of turning pages, which is much lower than air-conditioner at your home.